Bulk material handling equipment simplifies the work-intensive process of managing rock, minerals, parts and other bulk materials. General Kinematics combines innovative technologies with production process insight and creativity to deliver engineered solutions that enhance your production processes. 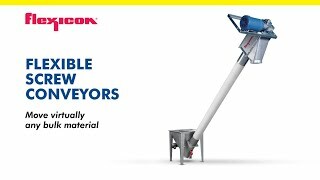 While providing our customers with a competitive advantage, bulk material handling is no longer a source of frustration or wasted time and money. General Kinematics has the expertise and knowledge to respond to your objectives for efficient, dependable processing equipment in the processing of bulk materials. GK solutions can heat, cool, coat, convey, feed, elevate, agglomerate, grind, and more, all while reducing energy consumption, maintenance, and downtime. A leader in the industry, General Kinematics can solve any bulk handling problem and give you the support you and your business needs. View all of our bulk handling systems and solutions or contact us about how we can customize a system that is right for you. General Kinematics is strategically located around the world to provide our customers with local service and immediate response. With local fabrication, sales, and after sales support, GK will be there when you need us. Headquartered in Crystal Lake, IL, you’ll find GK in Germany, the UK, China, India and Thailand.